edited by Julia Budka and Johannes Auenmüller. This volume comprises the proceedings of the conference of the same name which took place in Munich in September 2017, focussing on recent work on settlement archaeology in Egypt and Sudan. Sixteen papers, by experts in the field, explore these issues at both a general ‘macro-level’, i.e. broader regional developments, and at a closer ‘micro-level’ which places emphasis on individual sites. Recent advances in the study of settlement archaeology in Egypt and Nubia, particularly at sites dating to the New Kingdom, make this subject especially relevant for such a themed volume. Scientific analyses, including aerial photography, sit alongside papers discussing theoretical approaches to settlement data, which each contribute to giving the reader a better understanding of the nature of urbanism in Egypt and Sudan. As a ceramicist, I particularly welcome the inclusion of papers on ancient Egyptian and Sudanese pottery in the context of these ancient settlement sites, which feature not as ‘side notes’ but as integral to the central narratives. 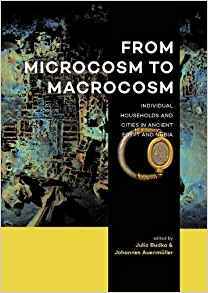 The volume also targets a more general readership with a detailed Introduction and first summary chapter of the ‘state of the art’ in the study of households and cities in ancient Egypt and Nubia. The chapters are well-illustrated with colour and greyscale images and the frequent inclusion of maps and plans are especially helpful as several of the sites mentioned in the text are less well-known. I am also impressed with the fact that this book is available to read online for free through open access, and a downloadable e-book is also available at a fraction of the price of the physical book. This is a clear attempt by the authors and publisher to make these papers as widely-available as possible. As such, I can highly recommend this volume to anyone interested to know more about the experience of life and death in cities and households in ancient Egypt and Nubia during the pharaonic period. Paperback, £65; Read free online: www.sidestone.com. Ptolemy I Soter, founder of Egypt’s last dynasty of pharaohs, appears to be enjoying a renaissance; the release of Ian Worthington’s biography in 2016 (reviewed in AE102) is now followed by this volume of papers exploring the life and reign of Soter, penned by an international group of contributors specialising in different aspects of Hellenistic history (with a third book due out later this year). Soldier, king, historian and living god, Ptolemy I created his own opportunities, declaring himself a self-made man. He embraced the kingly traditions of Egypt to legitimise his rule in the eyes of the native Egyptians, and was the first Graeco-Macedonian royal to write his own history, highlighting his military prowess and close friendship with Alexander the Great, whose campaigns he chronicled. Comparing Soter to Alexander’s other ‘Successors’, Waldemar Heckel describes him as “the tortoise rather than the hare, cautious and restrained”. Born the son of an undistinguished man (later claims that he was the son of Philip II most likely emerged after his death), his rise through the military ranks was unremarkable until in his 30s he was promoted by Alexander, becoming one of the conqueror’s trusted bodyguards. Following the death of Alexander in 323 BC, Ptolemy took control of Egypt, first as satrap for the Macedon Empire, then from 305 BC as King. The extent of Soter’s ambitions is discussed by Edward Anson. Polybius claims Soter took territory only to provide a safety buffer for Egypt; the modern view is that Soter was as ambitious as the other Hellenistic kings, but was “simply more careful” in the pursuit of his goals. His forceful hijacking of Alexander’s funeral cortege certainly destabilised relations with the Empire’s regent in Macedon, and represented a huge propaganda coup for the new Ptolemaic dynasty. In Egypt Soter proved himself “an unusually forceful and clever administrator” according to Catherine Lorber, who focuses on his six currency reforms; by making Alexander’s coinage (and later his own portrait coins) the only form of legal tender in Egypt, Soter gained financial power over Egypt’s élite and the traditional temple economies. The complexities of Soter’s immediate family are discussed in a paper by Sheila Ager. Soter practised the Macedonian royal tradition of polygamy, taking four (possibly five) wives, and siring as many as a dozen children whose marriages helped to forge alliances across the Greek world. Other chapters detail Egypt’s transition to Hellenistic kingdom under Soter, his relationships with the Egyptian élite, and his adoption of traditional Egyptian iconographical styles to legitimise his power and create a new type of Greek kingship based on the traditions of Egypt. 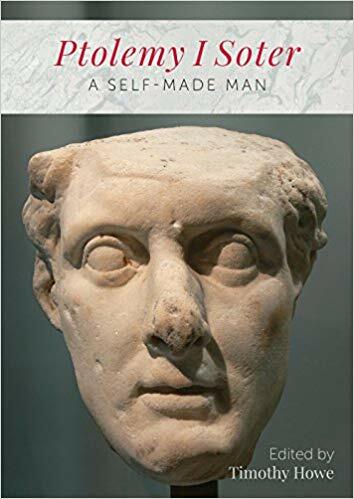 Packed with notes and extensive bibliographies for each chapter (though sadly few illustrations), this is recommended reading for anyone with an interest in the Ptolemaic era, whether an academic or an interested general reader. Following his earlier volume exploring the history and ecology of the papyrus plant (reviewed in AE94), John Gaudet returns to this remarkable plant in this new book. The title derives, as does the very word ‘paper’, from the ancient Egyptian term pA pr aA, ‘that of the Pharaoh’, referring to the lucrative royal monopoly on the production of papyrus writing material. In an engagingly conversational style, Gaudet traces the role of paper in both the influencing and recording of history over four millennia. The flexible, lightweight nature of paper provided a convenient and portable medium for the transmission of information which had previously been committed to stone or cumbersome clay tablets. The use of the sealed scroll hieroglyph from the First Dynasty and Emery’s discovery of blank papyrus rolls in the tomb of Hemaka, show that the practice of writing on papyrus was established from at least 3000 BC. 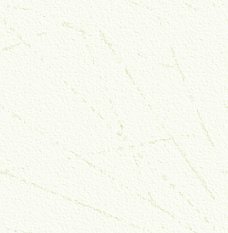 The methods of paper production, the pens, ink and scripts used on it and the means of storage and distribution are all discussed in relation to the increasing need for the medium. 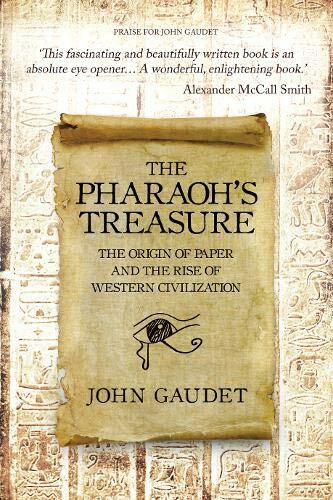 In illustrating the range of texts committed to paper, Gaudet cites Egyptian examples like the Wadi el- Jarf documents, including the “first spreadsheet ever”, The Wisdom of Ptahhotep – “the oldest literary work on paper in the world”, and the Story of the Shipwrecked Sailor – “the oldest fantasy text ever written”. He tells of the activities, not always ethical, of nineteenth century collectors such as Prisse d’Avennes and Wallis Budge, and their acquisitions, notably illustrated copies of the Book of the Dead, which now grace some of the world’s great museums and libraries. To show the huge part paper played in everyday life, especially of Late Period and Graeco-Roman Egypt, he describes the ‘rubbish tip’ discoveries of Oxyrhynchus which revealed documents of many types, from leases, wills and marriage contracts to personal letters, diaries and horoscopes. Throughout Gaudet follows the career of Cassiodorus, a sixth Century AD statesman who wrote in praise of paper. He traces the rise of scholarship, the creation of libraries, and, with increased use of parchment and/ or pulp paper, the decline of the Egyptian papyrus swamps. Though the quality of illustrations (many taken from Wikipedia) does not match that of the text, and forgiving the occasional flight of imagination, akin to the dramatised segments in TV documentaries, this is an engrossing and enlightening read. Osiris, Lord of the Underworld, as a royal deity, represented the deceased kings of Egypt, but more importantly enabled ordinary people (at least those who could afford the correct funerary rituals) a place in the afterlife – his ‘Kingdom of Reeds’. The cult of Osiris was firmly established by the end of the Old Kingdom, but its first emergence has been difficult to pinpoint. 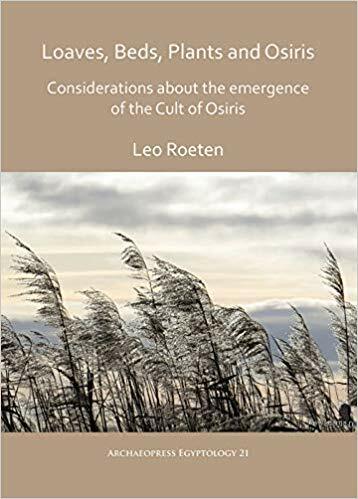 In this latest Archeopress volume, Leo Roeten attempts to mark the point at which the cult of Osiris was established, by looking at the small chronological changes in funerary scenes from the First Dynasty to the end of the Old Kingdom period. In particular he focuses on the offering scene and changes in the number of loaves of bread presented, using mathematical formulae to find that the number of loaves gradually increases while their shape becomes gradually thinner and taller. Roeten discusses the work of previous researchers in this area (Including Miroslav Barta and Joyce Swinton) questioning whether this change could represent a change in sustenance for the ka of the deceased, reflecting a changing belief in the afterlife. He discusses the hypothesis that the thinner loaves actually become representations of reed plumes, representing the afterlife in the form of the Field of Reeds, and how far this relates to the increasing importance of Osiris. He observes there is a link between the emergence of the cult and the gradual introduction of reeds on the offering table; as the deceased now has access to the Field of Reeds, there is less need to provide actual offerings in the form of bread. Other scenes analysed include the making of the bed, the marital bed, furniture, images of the water lily and activities in the marshes, and their connections to the concept of rebirth. He concludes that cult of Osiris was already in existence at the transition from the Fourth to Fifth Dynasty, but there was then a marked increase in Osirian themes during the middle to late Fifth Dynasty. It may be that one of the kings of the time (possibly Nyuserra) ‘adopted’ Osiris, leading to the sudden and widespread establishment of the Osirian cult in Egypt. Aimed primarily at an academic audience, the volume includes black-and- white photos, tables and graphs, a catalogue of all scenes analysed, tables marking the chronological development of scenes and an extensive bibliography.